EpCoP MOOC 2011 | amidoinitrite? The E-portfolio Communities of Practice Massive Open Online Course or EpCoP MOOC ran from 1 August to 30 September 2011. The aim of the EpCoP MOOC was for participants to learn tools and techniques for creating and reflecting in their own e-portfolio or online space. I thought it would be interesting to enhance my own EpCoP MOOC experience and explore themes of gathering evidence/data and e-portfolios by taking part in the EpCoP MOOC as someone else. That someone else was a fictitious character called Detective Ryan Peterovski. Detective Peterovski is a hardboiled film noir-styled lawman that has one last case to solve before his retirement. Detective Peterovski called his final investigation of his arch nemesis Recognition of Prior Learning (RPL) the EpCoP Case. Each week of Detective Peterovski’s EpCoP Case was mapped to missions specified in each level of the EpCoP MOOC. I used my webcam, mobile phone and digital camera to record Detective Peterovski’s EpCoP Case monologues, moments of reflection and field reports throughout the investigation. Detective Ryan Peterovski introduces himself and talks a little about his career, his impending retirement from the force and his motivations for undertaking the EpCop Case. You can view all of Detective Peterovski’s blog posts from Week 1 or view the Storify version of The EpCop Case: Week 1 in review. Detective Ryan Peterovski sets plan of action for the second week of the EpCop Case. You can view all of Detective Peterovski’s blog posts from Week 2 or view the Storify version The EpCoP Case: Week 2 in review. Detective Peterovski thinks about various platforms that are available for storing his evidence. You can view all of Detective Peterovski’s blog posts from Week 3 or view the Storify version of The EpCoP Case: Week 3 in review. Detective Peterovski receives help on the case from other EpCoP agents and taunted by his arch-enemy Richard Paddy Lawrence (RPL). You can view all of Detective Peterovski’s blog posts from Week 4 or view the Storify version of The EpCoP Case: Week 4 in review. The EpCop Case goes international. Detective Peterovski travels to Busan, South Korea hot on the trail of Richard Paddy Lawrence (RPL). You can view all of Detective Peterovski’s blog posts from Week 5 or view the Storify version of The EpCoP Case: Week 5 in review. Detective Peterovski thinks about how he will share his evidence with other EpCoP Agents. An unexpected turn of events in the EpCop Case. You can view all of Detective Peterovski’s blog posts from Week 7 or view the Storify version of The EpCoP Case: Week 6 & Week 7 in review. I liked using the Detective Peterovski character to complete the missions and levels and to explore the themes contained in the EpCoP MOOC. I hoped creating a detective character who was conducting an investigation would give a sense of urgency and reason for the character to work through the seven weeks of the EpCoP MOOC. I also hoped that creating a fun character would encourage collaboration via the adoption of EpCoP agent characters by other participants of the EpCoP MOOC. The detective came to life via an online presence via Twitter and multiple video diary monologues recorded throughout each week of the investigation. I wouldn’t necessarily say it was a ‘gamification’ of my own participation in the MOOC (particularly because I was the only person playing along and the absence of commerce and badges) but I wanted to use tools (audio, video, google maps, twitter) and techniques (tasks, narrative, role play, use real world objects to inform the virtual narrative) that may be used in an alternate reality game or ‘extended experience’ to create a different MOOC experience for myself. Fortunately, other EpCoP MOOC participants decided to collaborate with me on the EpCoP Case. At times I felt the Detective Peterovski and his EpCop Case became too meta, ambiguous and abstract. Detective Peterovski and his EpCoP Case became too much of a story-about-a-story and less about creating an obvious, clearly defined and digestible (for myself and others) e-portfolio or online presence (using e-portfolio tools like Mahara or Pebblepad) for myself. 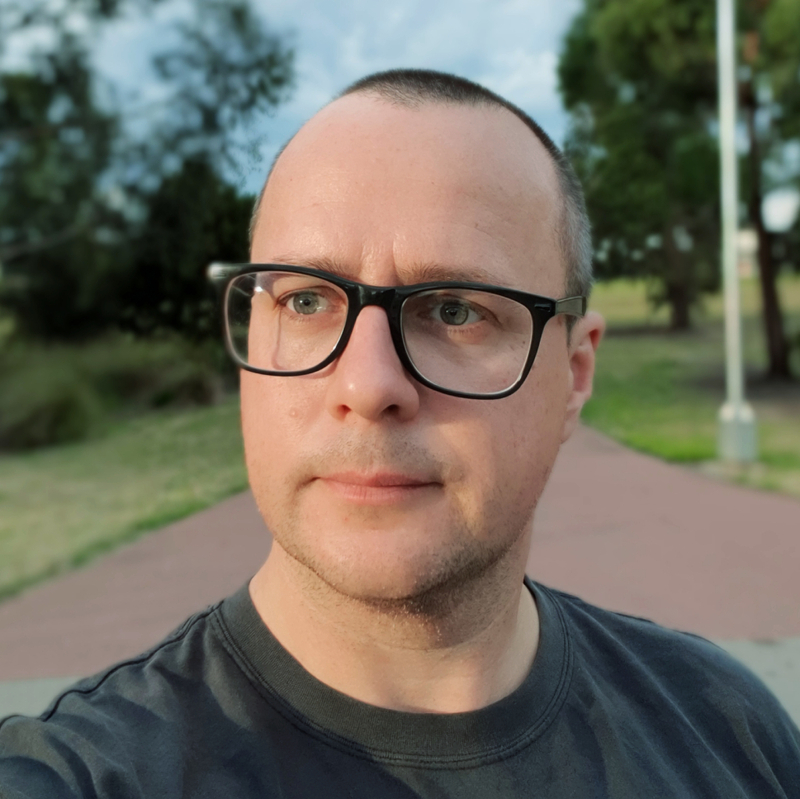 I used my WordPress instance to create and curate Detective Peterovski’s blog posts, embed images, audio recordings and video diary monologues. The EpCoP MOOC used a Ning group to facilitate the MOOC so I had to cross-post from my blog to the Detective Peterovski’s (my) Ning profile every time the detective posted a blog or tweeted. 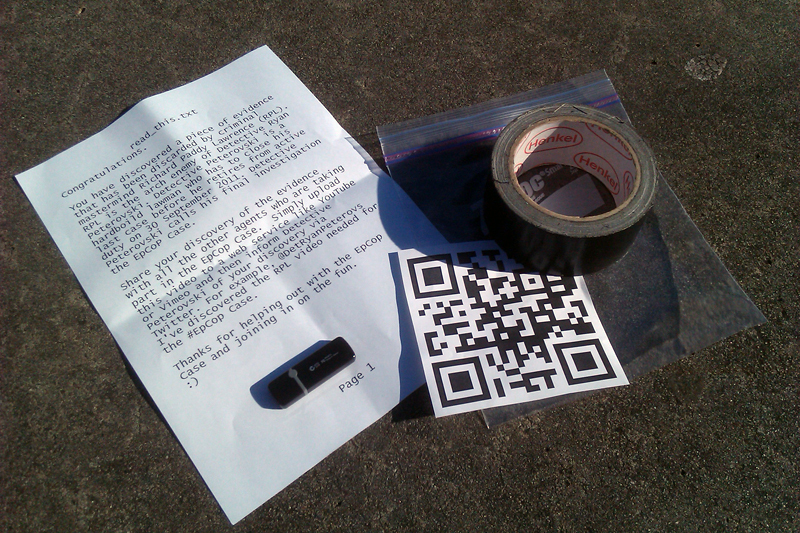 I also experimented with what I would call a loose form of geocaching. I hid a USB stick at a real location in Melbourne, Australia then embedded a clue to the location in a video report from Detective Peterovski’s arch nemesis RPL. Read more about this experiment in my Behind the scenes – A look at the materials, location and maps used to plan and hide the location of a clue from RPL blog post. I used to three different Google Maps to record the location of each piece of virtual EpCoP Case Evidence, the location of the last known sighting of RPL and the location of a clue from RPL throughout the EpCoP Case. All of these maps were public and could be modified by other MOOC participants who acted as EpCoP Agents or anyone else. I used SoundCloud to record and embed an interview with Dr LEE Young Tekk about the process of problem solving and diagnosing patients. I found NetVibes was useful for monitoring the #EpCoP twitterstream, blog posts by Detective Peterovski and each new piece of evidence being added to the EpCoP Case evidence map. At the end of each week of the EpCoP Case I used Storify to summarise the activities of Detective Peterovski and his investigation.